Improper administration of the BAC test. The breathalyzer machine requires specific instructions for every person who takes a BAC test. If the officer did not properly administer your test, it may not be admissible as evidence of your DUI/DWI. There may be problems such as: RFI (radio frequency interference), insufficient samples, mouth alcohol present, etc… all issues which need to be investigated. Unreliable calibration of the breathalyzer. Breathalyzer machines require regular maintenance in order to produce consistently accurate readings. If the machine was not maintained, your reading may not be accurate. We can subpoena subject logs as well as documentation from Scientific Labs to make sure the breath machine was working properly. Officer did not follow procedure. If the officer in any way infringed on your rights or deviated from the procedure of a DUI/DWI arrest in any way, testimony could be suppressed and your case may be thrown out. Some officers are inexperienced and make mistakes; their mistakes may be used in your defense. Call (505) 842-1440 or contact us here to schedule your free consultation and meet with an experienced Albuquerque attorney. If you have been arrested for DUI/DWI in New Mexico, the Law Office of Mark Keller is here to help. Our top Albuquerque DUI/DWI lawyers can help shield you from the overwhelming penalties of a DUI/DWI by building a strong defense on your behalf. We have combined attorney experience of over 80 years, zealously defending those accused of DUI/DWI in New Mexico and are committed to fighting for the best possible outcome. 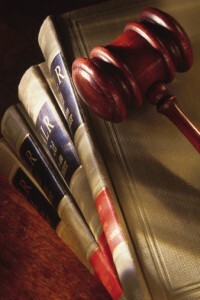 At the Law Office of Mark Keller, we know the complexities of New Mexico DUI/DWI procedures and laws. Our top DUI/DWI attorneys will launch an aggressive investigation of your arrest and search out any inconsistencies in order to provide the strongest drunk driving defense possible. The penalties for DUI/DWI in New Mexico are severe and overwhelming. If you are facing potential conviction of a DUI/DWI, you need the help of an experienced DUI/DWI lawyer. The experienced Albuquerque criminal defense attorneys at the Mark Keller Law Office are here to help. Contact our firm to speak with one of our top DUI/DWI lawyers about your case.